For those who never got that remote control they always wanted for Christmas this is for you. Check out the Lexus RC F Ready-To-Run Remote Control Car. 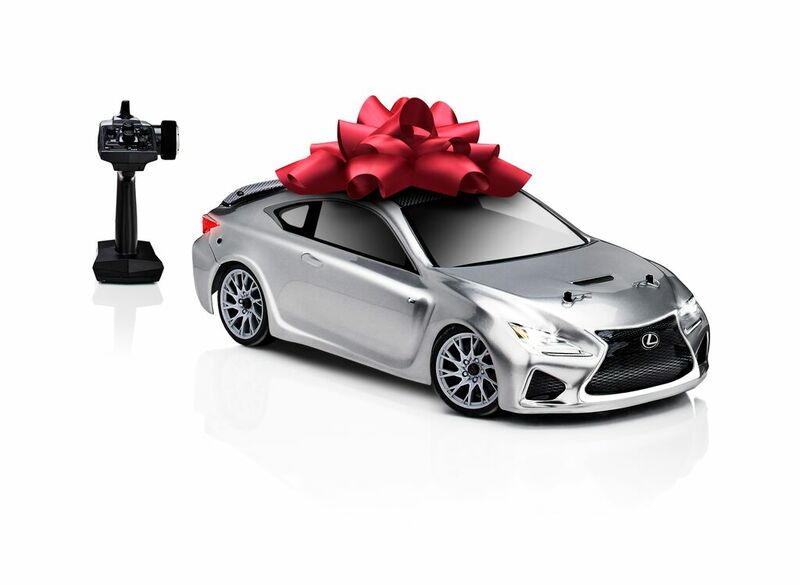 It sells for $350.00 and is created exclusively for Barneys, the limited-edition Lexus RC F remote control sports car is this year’s ultimate holiday toy for kids big and small. The Barneys-only edition of this performance coupe replica features fully operational LED headlights and taillights in a silver and black finish, colors that aren’t available anywhere else. The vehicle is fully assembled and ready-to-run with batteries included. The Lexus RC F remote control car is approximately 16.0″ length x 7.5″ width x 5.5″ height, and recommended for those ages 14 and up. This specialty holiday gift item is only available in the Barneys New York holiday catalog, in the retailer’s New York and Beverly Hills stores and on Barneys.com. Print article This entry was posted by Art Eddy III on November 10, 2015 at 7:23 pm, and is filed under Lexus, Lifestyle. Follow any responses to this post through RSS 2.0. Both comments and pings are currently closed.